There is no denying that Joe Dunthorne has a way with words. He is a published poet and his debut novel Submarine shows amply how dexterous he is. This is one book I’ve been meaning to read for ages and I’m glad I finally got round to it because it’s a warm, gentle and funny bildungsroman that is as smooth as a Guinness. For a debut novel it was surprisingly perfect, there were no uneven or jarring bits and it felt very accomplished. I’m not sure whether this has anything to do with Dunthorne being a graduate of the the legendary creative writing MA at the University of East Anglia but he does know how to write. 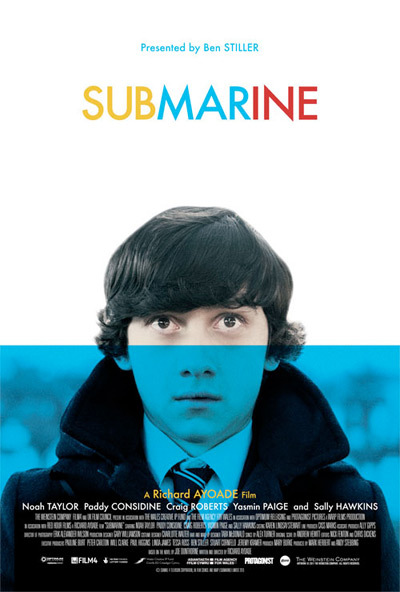 Submarine is about Oliver Tate, 15 years old and about to sit his mock GCSEs. His mother Jill and his father Lloyd are going through a difficult patch partly due to his father’s depression but theirs is a generally well-adjusted, middle class family who are a bit touchy feely and like to discuss things. Oliver and his friends at school mercilessly bully one of their classmates, Zoe, who flees to another school. And then there is Jordana, a potential girlfriend with eczema and a mother who is going through chemo. Although Oliver participated in making one of their classmates miserable, he isn’t an altogether bad boy. Dunthorne excels in focusing on the little quirks and changing identities that make up a teenage boy who is interested in so many things all at once yet doesn’t quite know where he fits in. There are some hilarious moments such as a family trip to Italy. Dinner time at the Tate’s is also a highlight as is Oliver’s seduction of Jordana (or is it the other way round?) with a culinary repertoire of home-made burgers, mash and grilled asparagus spears. And when Lloyd sinks into depression once again, staying in bed and drinking endless hot water with lemons, Jill retreats to a meditation center run by an ex-boyfriend. Naturally, Oliver, who is highly intelligent and likes to use new and difficult words, is suspicious and goes on a quest to try and sort out his parents’ problems while avoiding his own with ensuing hilarious results. All in all, I thought this was a rather sweet (and bittersweet) story, perfectly pitched, about growing up, first love and settling into your own skin. And what I liked most about it was the sense of family and closeness Oliver embraces when he finally understands his mother and father. First novels, especially semi-autobiographical ones, are notoriously difficult and this could have easily become a pedestrian novel about growing up and there are so many of them, but Dunthorne’s humour gently lifts it above the norm. And the experimental structure also contributes to the humour and playfulness of the novel. There were some terrific one-liners and some choice turn of phrases dotted throughout the novel, which I loved, and you can see the care with which Dunthorne chooses his words. ♦ I spent the morning admiring my skin elasticity. God alive, I feel supple. ♦ I crack an egg and use the shell halves to disrobe the yolks. ♦ The carrots had been boiled until they looked out of focus. Submarine the film is out now and I can’t wait to see it. And I’m looking forward to reading Dunthorne’s next novel Wild Abandon which is due out in August. I was lucky enough to meet Dunthorne at a recent Penguin bloggers do and learnt the following: 1) he started off as a poet, 2) three literary influences are Don DeLillo’s White Noise, David Berman the poet and David Foster Wallace the novelist, 3) Submarine the film is different from the book but he’s happy about that and 4) he’s a very nice young man. I forgot to take a picture but you can see a photo I took surreptitiously at a poetry reading here. 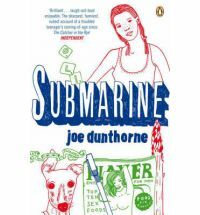 I’ll be reading Submarine very soon – I’m sure I’ll love it too. Joe Dunthorne’s reading was very funny on Thursday and I love the sound of this one too. I hope I enjoy it as much as you did. It was so lovely to see you again, Sakura, hopefully will again before too long! gaskella: Duly noted, Annabel. I’ve read your post and have added it onto my wishlist:) Thank you! Jackie: I hope you do too. Will be checking out your post when you get a chance to read it. Simon T: Too many book? It was great to see you again too and hopefully we’ll get together again. I really want to read the new one. Have decided I’m going to go straight to that as I loved his reading! It’s out soon and I can’t wait to read it either!